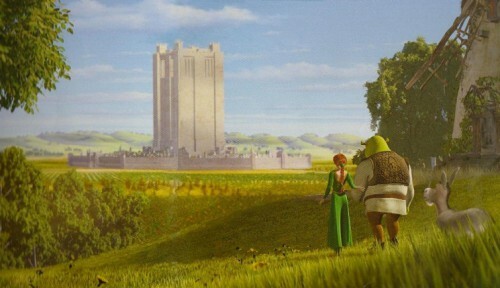 ‘As they walked back to Duloc [Dunedin], the princess stopped struggling and began to talk with Shrek and Donkey. She wanted to know more about Lord Farquaad [Edgar]. From the pages of Shrek: The Complete Story, by Dreamworks Pictures. “What’s so great about this castle,” Lord Farquaad said, “Is that the peasants of Duloc are going to have to pay for its drawbridge.” Donkey snickered once again as he counted every cent he’d received in his Christmas bonus. Yeah that’s what I read in SST print edition earlier, in a less detailed mention. Wreck a city for low value package tours, brilliant thinking Mr Steve Rodgered. The hotel idea is as bankrupt as the stadium rort. The product of little men who can’t think except to clip tickets. A rising tide of Chinese and Australian visitors is helping to keep the tourism market afloat in New Zealand. But many Chinese visitors on package tours are not as big a boon as they could be for local businesses, according to an industry group. Tourism from China is booming, up 38 per cent in the year to November, hitting almost 195,000, and is expected to top 200,000 for the calendar year. That has helped offset a dive in numbers from Britain, down 17 per cent in the past year, to about 191,000, reflecting a dropoff after last year’s influx for the Rugby World Cup. China overtook Britain, becoming New Zealand’s second-biggest source of visitors in the November 2012 year. Australia remains by far the largest source of tourists at 1.1 million in the past year. Overall, tourist arrivals in November were almost flat on the same month last year, despite a great leap up in arrivals from China. The annual figures are also almost level with a year ago, despite the World Cup boost in 2011. But, while the Chinese market is expected to keep booming, possibly doubling in the next five years, tourism groups say that a lot of the benefit goes straight back to Chinese tour operators. Isn’t it what a lot of us knew or suspected or guessed, putting together what we had observed & heard elsewhere along the line? It’s good to see it actually in print, will wait and see if anyone comes up with evidence to contradict it. Can you reproduce the story, or the main points, for those who may not be bothered clicking the link? I’d like to see it here for simpler access and reference when arguing the case against the Vision-mongers. ….Self-contained campervans are welcome in the city – they can stay over in public car parks for up to two nights and even illegal campers will not feel the sharp end of the law. Council reserves and recreation planning team leader Paulien Leijnse said freedom campers come to enjoy the scenery, the wildlife and the heritage attractions. ”It is important that we convey to them our policy for freedom camping in our city so they know where they can camp and we are working hard to ensure they can access this information easily.”…. Everything else including doing the sums gets shoved aside to make way for the big glittering prizes, cruise ship visits and now mega-hotel Vision. What, I wonder, does Dunedin get from a brief stopover of a huge influx of well-(over)-fed cruise passengers who can shop on board and book their trips to “attractions” before they land? We might be better accommodating – all senses of the word – more freedom campers for longer than 2 nights, might be better doing everything we can to encourage them to spend up to 5 nights. There’s plenty to do in and around Dunedin.